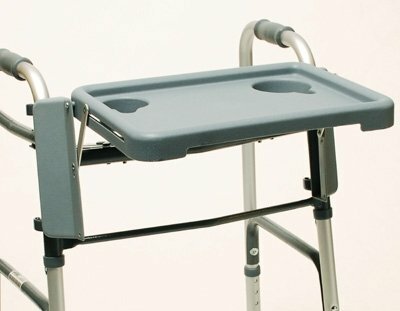 Walker Tray, Gray, 16" W x 12" D. Features two cup holders. Easy to install. No tools required. Size: 16" (W) x 12" (D). Available in Retail Packaging.